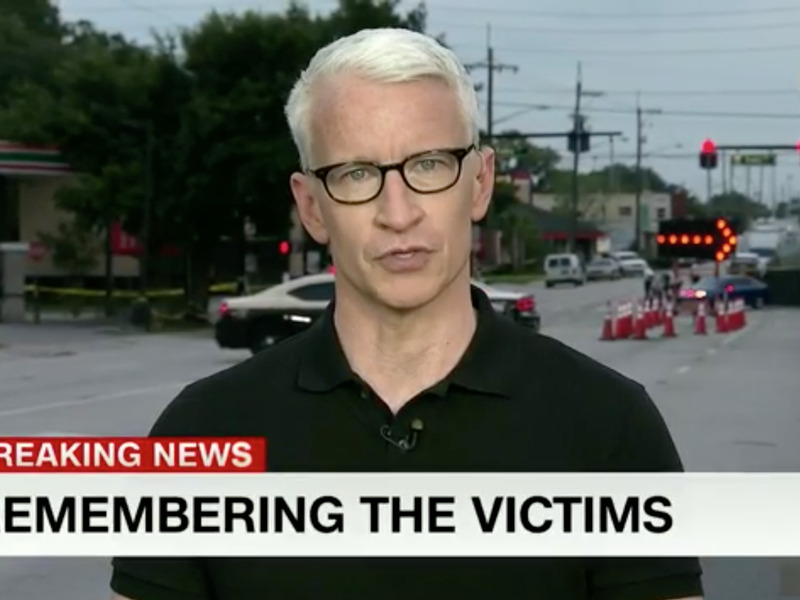 Anderson Cooper began his CNN show, Anderson Cooper 360, on Monday with a tribute to the 49 people killed in a shooting rampage at a gay nightclub in Orlando. Over the course of the seven-minute tribute, Cooper listed off the names of 48 of the 49 victims with short biographies, often getting visibly choked up and emotional. Cooper noted that he and his team wanted to keep the focus “where it belongs,” on those who were killed in the massacre. Throughout the broadcast, Cooper stated that he would not be saying the name of the shooter, nor show his picture. “We will not say the gunman’s name or show his photograph, it has been shown far too much already,” said Cooper.